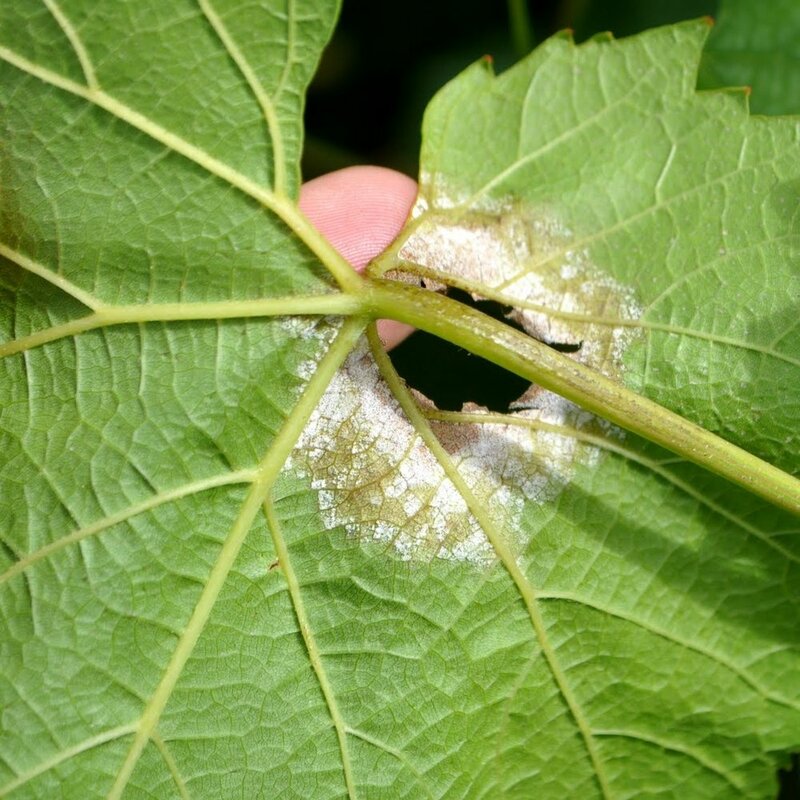 Our Agronomy team have captured high quality images for you to use to ID downy mildew, caused by Plasmopara viticola. Primary oilspot showing the back of the leaf. Spring. Primary downy mildew oilspot - front of leaf. Spring. A twin downy mildew oilspot. Spring.